This traveling exhibition looks at the history, culture, and art of Afro-Mexicans, beginning in the colonial era and continuing to present day. 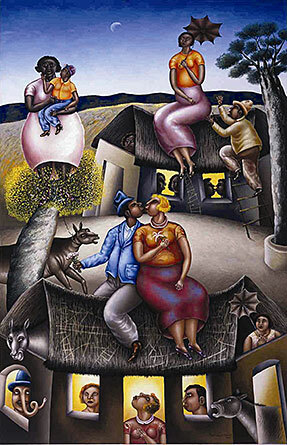 Highlights of the exhibition include "casta" paintings—paintings used to delineate racial categories and the ever-increasing complexity of racial mixture—and discussions of African slavery in Mexico and the hero/slave rebel Yanga; artifacts related to the traditions and popular culture of the Afro-Mexicans; and many paintings, masks, photography, and other works of art. The African Presence in Mexico also includes a section on "Who Are We Now? Roots, Resistance, and Recognition," which charts the history of the relationship between Mexicans and African Americans in the United States, as well as the relationship between African Americans and the country of Mexico.